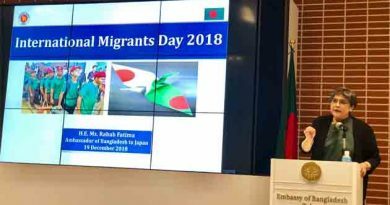 Bangladesh is committed to promoting inalienable right of people across the globe to their mother languages, importance of linguistic and cultural diversities, says Ambassador and Permanent Representative of Bangladesh to the UN . Ambassador and Permanent Representative of Bangladesh to the UN Masud Bin Momen has said Bangladesh is committed to promoting inalienable right of people across the globe to their mother languages, importance of linguistic and cultural diversities. “The spirit of the sacrifice of our sons of the soil to uphold their mother tongue on 21 February 1952 drives us in our unwavering commitment to promoting inalienable right of people across the globe to their mother languages as well as the importance of linguistic and cultural diversities,” he said. 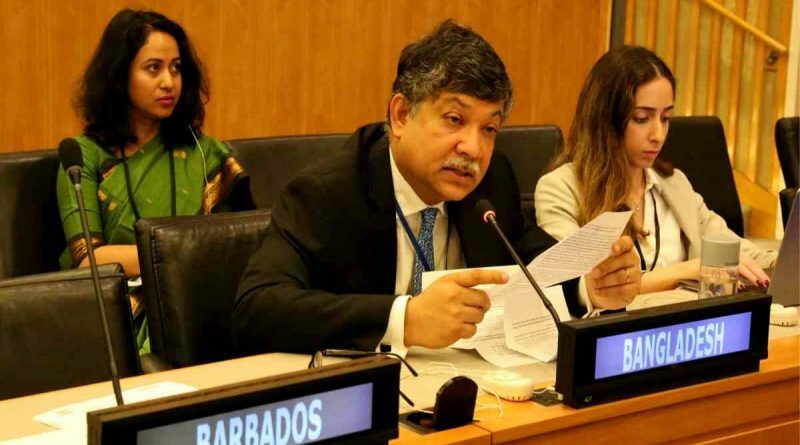 The Ambassador was speaking at the High-Level plenary meeting of the General Assembly for global launch of the International Year of Indigenous Languages at UNGA hall in New York on Friday, said a press release on Saturday. 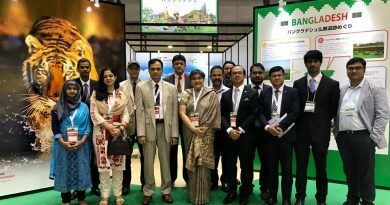 It was due to Bangladesh’s initiative that UNESCO declared 21 February as International Mother Language Day, Momen said. Languages and cultures are great enablers of promoting a culture of peace. This year being the 20th anniversary of the adoption of the Declaration and Programme of Action on a Culture of Peace, it is also a great occasion to celebrate our unity of purpose, said the Ambassador. In recognition of those initiatives, Prime Minister Sheikh Hasina has been awarded the Cultural Diversity Medal by UNESCO, he added. 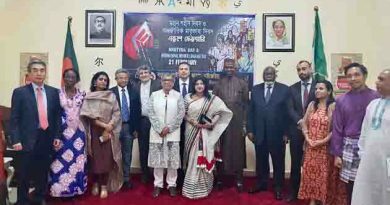 Citing example, Ambassador Momen said, “We have set up seven specialized cultural institutes including three in the three hill districts that will facilitate promotion and preservation of culture, heritage, languages, and tradition including that of small ethnic communities. We have an ‘International Mother Language Institute’ which is fostering research and scholarly activities for the preservation of languages. We have taken steps to introduce primary education in mother tongues of various ethnic groups. Children of five ethnic communities are already receiving text books in their mother tongues. So far 132 schools are providing education in mother tongue”. María Fernanda Espinosa Garcés, President of the 73rd UN General Assembly delivered her opening remark at this event while Evo Morales, President of the Plurinational State of Bolivia was the keynote speaker. Among others Liu Zhenmin, Under-Secretary-General for Economic and Social Affairs, Mr. Ernesto Ottone Ramírez, Assistant Director-General for Culture, UNESCO and four Co-chairs of the Steering Committee for the organization of the International Year of Indigenous Languages also delivered their statements at the event.